Thanks for your question. 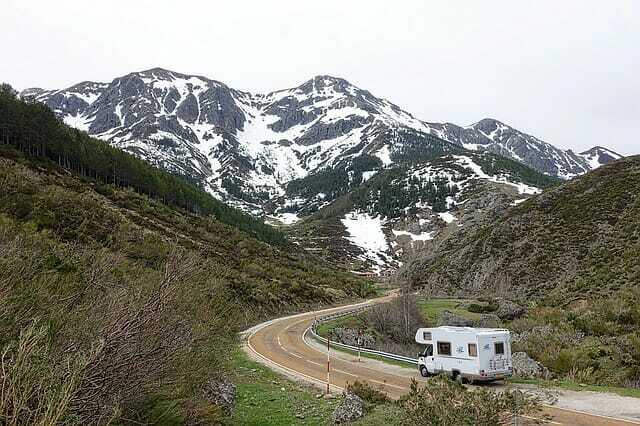 We are not sure if you are asking about heating the floor of your RV, or about heating in general for your entire RV. On the subject of heated floors, we do not have an opinion on this subject. We don’t have a heated floor, so have no expertise to offer, perhaps others will comment. If you are talking about regular heat that comes out of vents near the floor, then we can share what we do. We have roof-mounted air conditioner/heat pump units. We use these in most cases. When the temperature is too low for the heat pump to be effective (or we want to avoid the noise), we use a couple of ceramic heaters plugged in. We are typically hooked up to electricity which is included in the price of the site, so we use the electric heaters. If we were paying for electricity, we would probably not use these. If it gets really cold – then we use our diesel furnace, which is a hot water/forced hot air system. We might also keep the ceramic heaters plugged in at the same time if electricity is not costing us anything. If we were boondocking (no electricity) in very cold weather where the heat pump is not feasible, we would have the generator on while we were awake and in the RV. This would keep the batteries charged and allow us to run the electric heaters/microwave, etc. And we might also turn on the furnace if it was really cold. When we go to bed, we turn off the generator and let the furnace keep the RV heated overnight. Hope that helps. Comments welcome. Hydronic floor heat is great and the source of the heat is very adaptable. The problem is that it is difficult to install the tubing after the fact. You can use the hot water heater, a dedicated heater, heater exchangers, almost any thing to heat the water, uses a low wattage pump to distribute the water. Having warm floors radiates the heat evenly and is most efficient, economical, and maintenance free. It’s good stuff, but likely has to be installed when the unit is being built, not retrospectively.